TolkienBritta.com: LEGO Reveals Hobbit Spoilers? 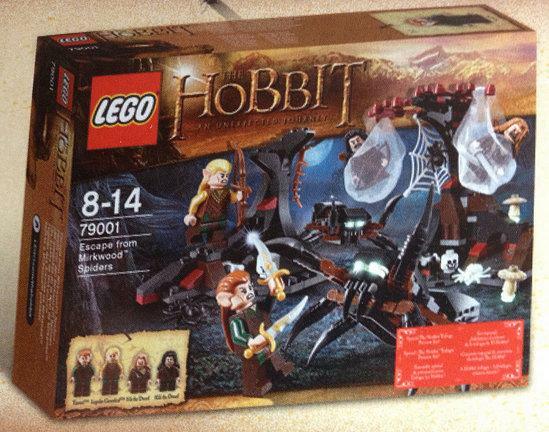 After a recent photo emerged of LEGO's newest Hobbit set, featuring Legolas and Tauriel fighting spiders in Mirkwood, many fans are wondering if Jackson and Co. have made yet another change to the movie's plot, giving Tauriel and Legolas the task of rescuing Thorin and Co. It also suggests that both Elves will appear in the first Hobbit film - which, according to several sources, is reportedly 2 hours and 44 minutes in length. I'd love to hear your thoughts on LEGO's newest set - and what you think of this possible change in The Hobbit. Share your comments below or let me know on Twitter: @TolkienBritta!